1.) Continued temporary storm water bypass pumping operations, equipment staging and material stockpiling in the eastbound lane of Roseann Avenue from Clearwater Drive to Croydon Drive. Continued storm water bypass pumping and installation of new storm water main pipe in the eastbound lane of Roseann Avenue from Croydon Drive to the vicinity of 230/235 Roseann Avenue. 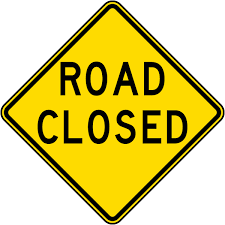 Therefore, the eastbound lane of Roseann Avenue from Clearwater Drive through Croydon Drive to the vicinity of 230/235 Roseann Avenue is completely closed to traffic and all curb side parking. Local residential traffic will still be able to travel east and west in this block to access their driveways and homes. However, occasional short term closures to all traffic in this segment of Roseann Avenue may occur during various times during the work day. Residential traffic and emergency vehicle traffic will be accommodated. 2.) The Clearwater Drive / Roseann Avenue intersection remains substantially open to traffic. However, please be advised that during the first half of the week, Atlantic City Electric’s Contractor (Kline) will be performing excavation for installation of a 3 Phase electric service in Clearwater Drive from Beachhurst Drive to the Pump Station site at 4 Clearwater Drive. This activity may require occasional short term closures to all traffic in this intersection. Residential traffic and emergency vehicle traffic will be accommodated. 4.). The Roseann Avenue / Croydon Drive intersection continues to be closed to traffic for installation of new storm water inlets and branch connections as well as removal of old storm water pipes and old water main pipes. It is estimated for this intersection to be closed for one to two more weeks.